The MULTI Nature is used to count and differentiate pedestrians and cyclists in order to help in the management and preservation of trails around the world. The Greenways MULTI is by the General Council of Morbihan (France), the Golden Gate National Park (USA), the Metropolitan Park of Santiago du Chili, l’île de la Réunion, the National Park of Bialowieza (Poland). Eco-Counter’s MULTI system is an innovative and unique counting system that monitors and differentiates between pedestrians, cyclists, equestrians and ATVs. This system is typically installed permanently and is perfect for obtaining trends over time. 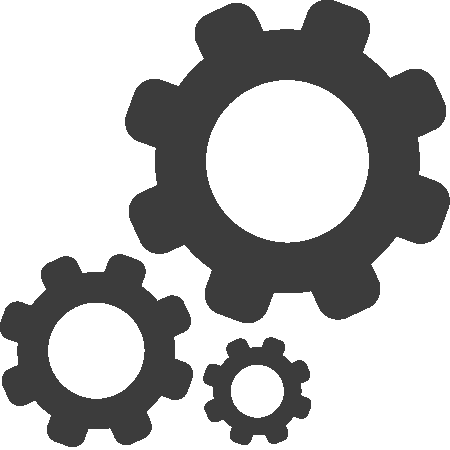 The system allows for the analysis of data from multiple user types over consecutive days, weeks, months, seasons or years. This system combines the PYRO, passive infrared, sensor and the ZELT, inductive loop, sensor. An intelligent subsystem, the Smart Connect, analyses the signal from both sensors in order to count and classify each user. 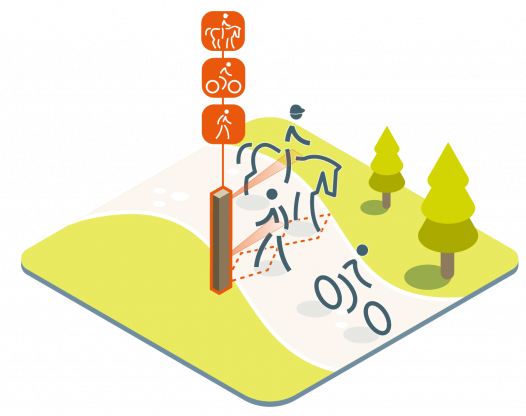 The MULTI system is optimized to count large groups of pedestrians, cyclists and other users with high accuracy making it ideal for high-volume multi-use paths. In Arlington, Virginia, fifteen MULTIs monitor pedestrians and cyclists on a network of trails. Cyclists volumes often peak during rush hour, suggesting a high rate of commuting cyclists. Pedestrian use is constant throughout the week and peaks during weekends, suggesting more recreational use of the network. The MULTI integrates two or more sensors into the system. The PYRO sensor is housed in a post at waist height, while the ZELT loop is installed under the surface of the trail. The ZELT pre-formed loop allows the loops to be deployed on unpaved paths. Installation is quick and straightforward. The pre-formed loop is installed 5 cm (2″) deep in the ground. The MULTI system can be expanded to count and classify horses and/or ATVs in addition to counting pedestrians and cyclists. To count horses, the system uses an additional PYRO sensor set at a height of 2.7 m (9′). The data from an expanded MULTI system gives a full picture of trail use for all user types and can help reduce user conflicts on the trail network.